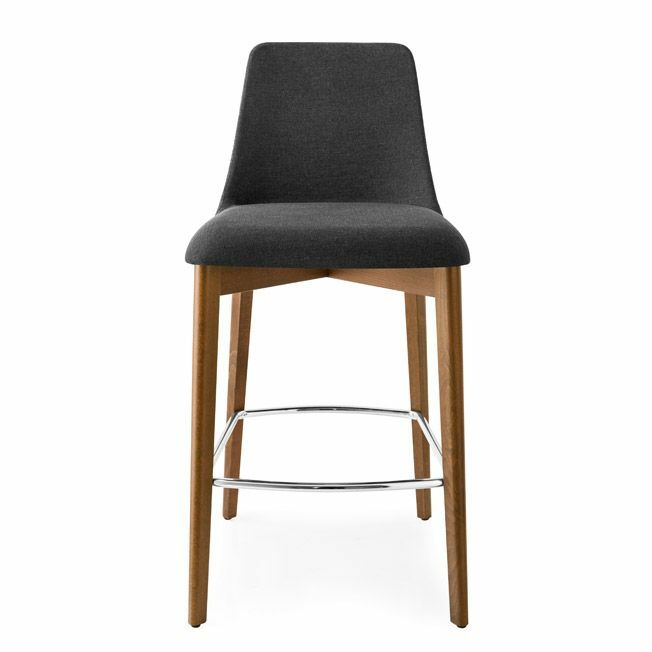 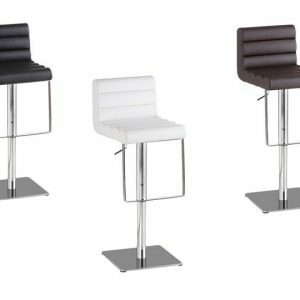 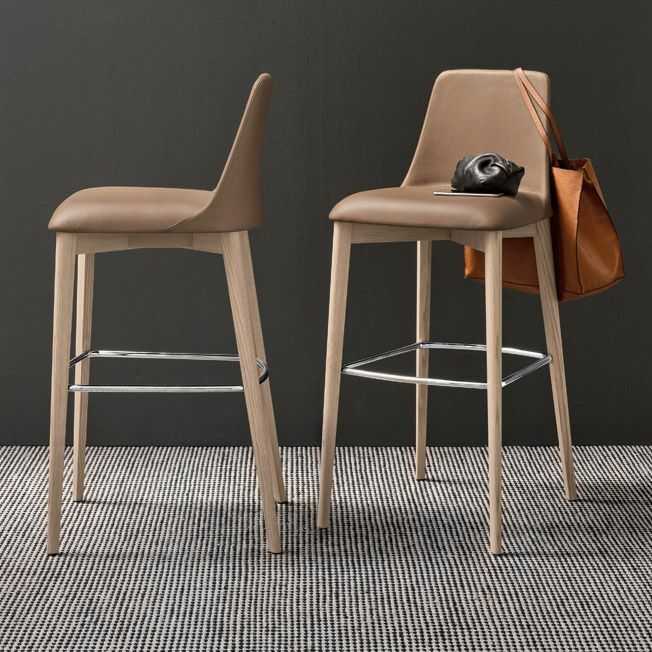 ETOILE stool, with steel pipe frame and fabric upholstered seat/backrest. 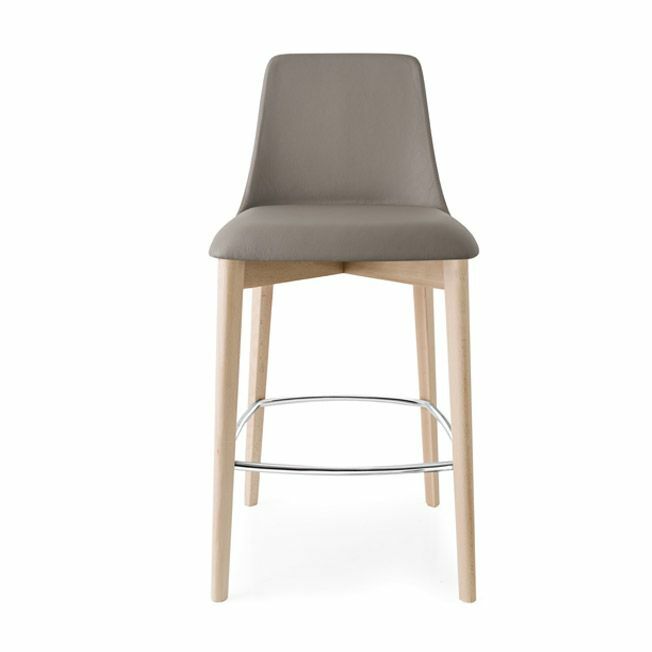 The comfortable seat has a thin rounded profile characterized by well-defined lines and genuine leather upholstery. 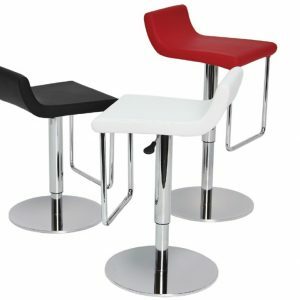 Wooden base with 4 tapered legs, with elegant chrome footrest.